Spread over 20 acres of expansive prime location, this concept luxury township boasts of the most modern and exquisite facilities in a royal set-up. Royal Heritage is being developed on the philosophy of holistic lifestyle by blending healthy luxurious living and spiritual well• being. 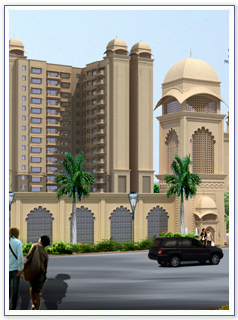 2/3/4.BHK Price starting @ 25.75 Lacs…. Area : Per Flat starts from 950 sq. ft. to 1815 sq. ft.